If you were as sad about The Moons closing as we were, then fear not – you can take the future into your own hands and help the Creative Republic of Cardiff take over the bar themselves! 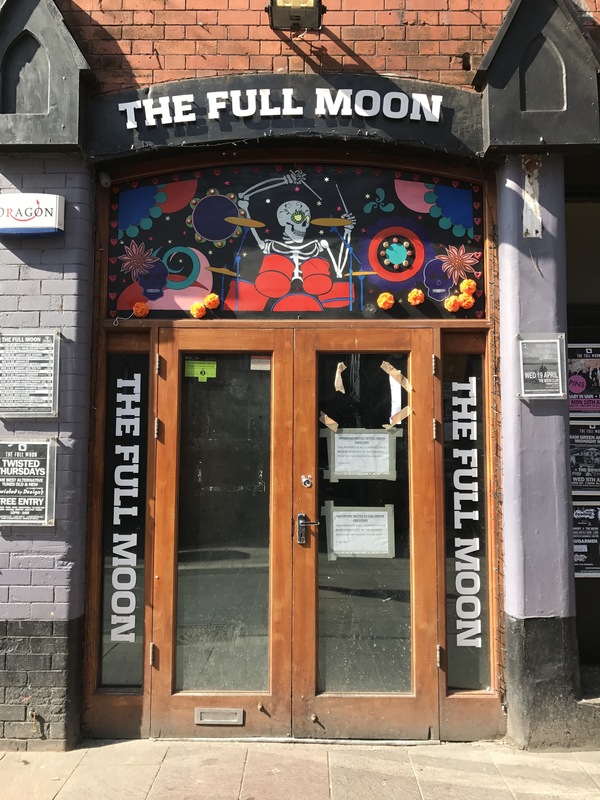 Creative Republic of Cardiff is a new, non-profit organisation that plans to re-open the beloved Full Moon and rejuvenate Cardiff’s live music and creative culture. It has been set up by former staff and friends of The Full Moon. They plan to take on the building’s lease within the next month and re-open as a community-led, non-profit venue and arts space. The Full Moon has always been the people’s venue. HELP US REOPEN THE SPACE ON FRIDAY 28 APRIL 2017: SUPPORT THE INDIEGOGO CAMPAIGN! Womanby Street and Cardiff’s live music scene is under threat, with the loss of three venues in four months. The closure of The Full Moon was the last straw. Creative Republic of Cardiff is made up of former staff and friends of The Full Moon. They believe that the venue and the cultural heartbeat it adds to our city, are worth saving and developing. They plan to take on the lease of The Full Moon and not let it die – it’s viable, it’s vital. But they need your help and this is just the beginning! SUPPORT THE CAMPAIGN – donate whatever you can! They are in positive talks with the landlord and need to show him the support they have from the community. There are obviously other offers, but none of them will be able to support and develop the artistic community like this. You contribution will go towards the lease, licensing, legal fees, and various costs associated with reopening as a fully functioning venue, as soon as possible. The previous venue was viable, however it became clear that it needs to be a non-profit, community-focused music and arts space, in order to realise its full potential. Additional funds will allow the group to improve the venue, carry out maintenance and provide them with basic working capitol. Creative Republic of Cardiff will use the venue to establish an environment of collaboration, networking and knowledge sharing. It will nurture, develop, organise and showcase talent from Cardiff and beyond. Your donation will also secure some goodies! Like a badge, t-shirt, giant print, framed gig poster or even booking the place out for a gig of your own!! We Are Cardiff have donated £50. We enjoyed plenty of nights out in The Full Moon – so I guess we’re looking at it as back-payment for all those times we got let in for free and danced our socks off all night. SUPPORT YOUR LOCAL CREATIVE COMMUNITY!